St Nicholas church stands on a hillside above the Wylye valley The church is primarily 14th century, and consists of a nave, chancel, north transept, and an imposing south tower. 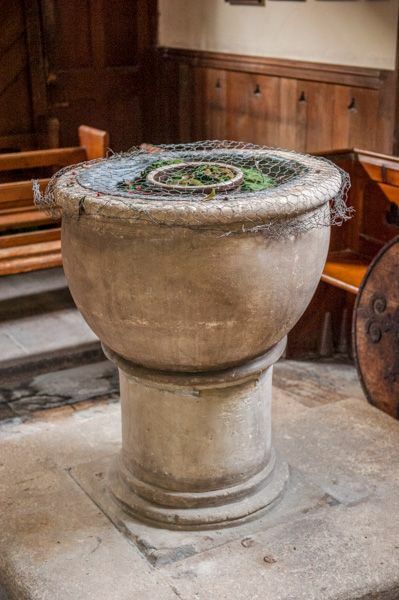 There was a Norman church on the site, but nothing of that building remains save the 12th-century font, carved capitals on the chancel arch, and several examples of chevron ornamentation, including fragments of an arch built into the nave wall, near the tower. The chancel arch itself is 13th century, as is the chancel itself, with simple lancet windows and a stone corbel-table. 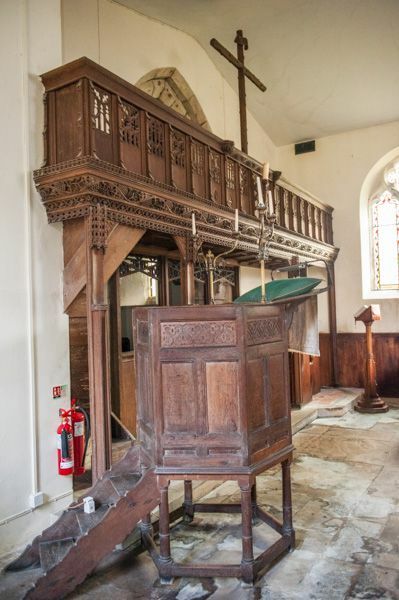 The pulpit is Jacobean and appears to have been brought here from a church in East Anglia. On the south wall is a royal coat of arms to George III, and panels lettered with the Lord's Prayer. 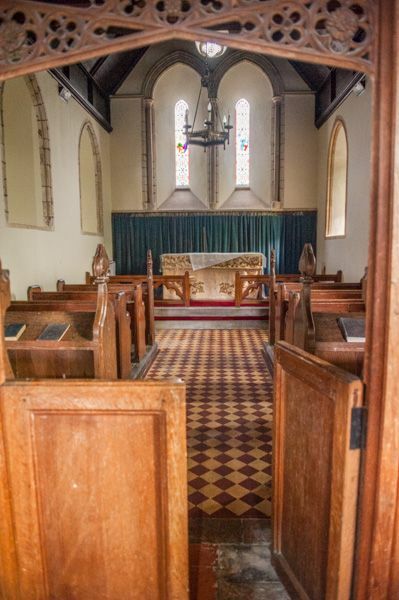 The church is built of flint and stone in a pleasing chequerboard pattern. 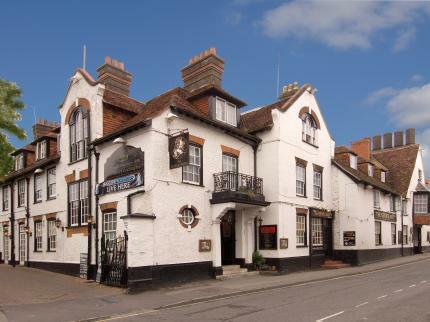 The building was extensively rebuilt in the Victorian period, but the rebuilding was sympathetically performed to retain much of the medieval character of the building. Within the church one of the most obvious features is the large wooden screen. Though medieval in appearance, this was actually built in 1912. The architect, FC Eden, intended it to be painted, but this was never done. 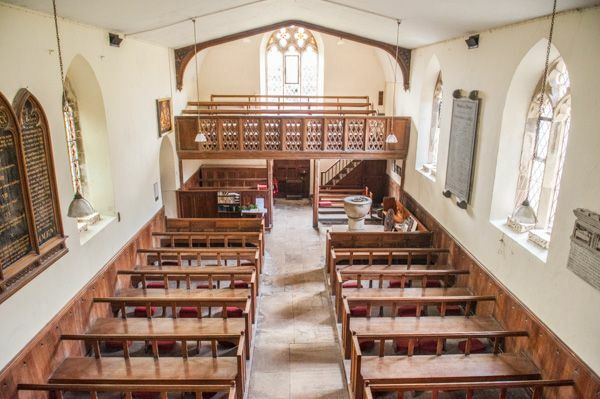 You can climb an extremely narrow rood stair behind the chancel arch and find yourself on a small rood loft, with views out over the nave. 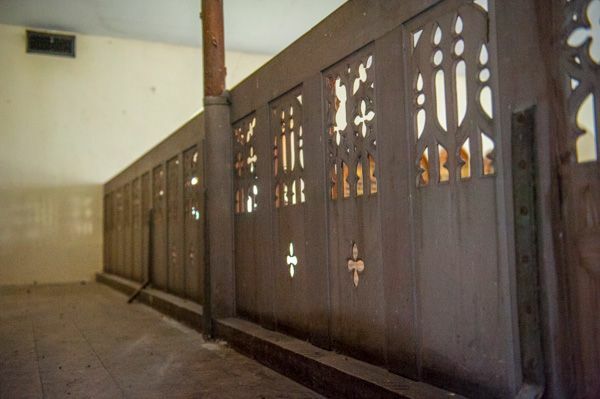 It is an unusual treat to see 'behind the scenes' of a rood screen! There are several interesting memorials, including a touching one on the north nave wall to a pair of infant children of Thomas Crawford, an early 17th-century vicar. The two infants are shown in their beds and serve as a reminder of how high infant mortality was in earlier centuries. There are also several memorials to members of the Davis family. 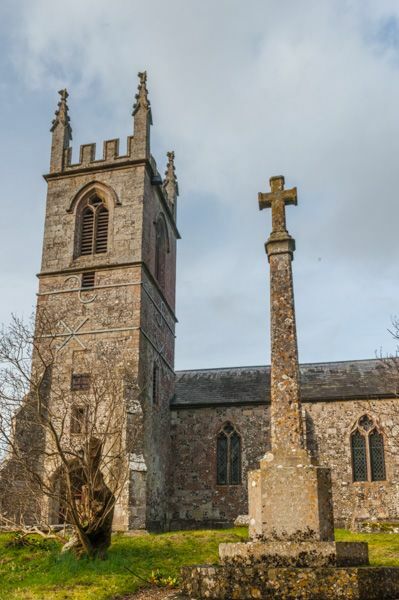 The first recorded mention of a church at Fisherton Delamere is in 1291, though it seems clear that there must have been an earlier building on the site. 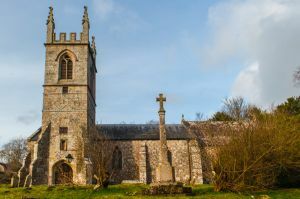 For many years the church was attached to Maiden Bradley Priory. Location: 1 mile north of Wylye village. Limited parking by the church. Usually open daylight hours.